Lockout DVD Review Lockout is a movie that most sci-fi junkies will enjoy but ultimately forget as there can only be one Snake Plissken! This science fiction thriller stars Australia's very own Guy Pearce in one of the most sci-fi clichéd ridden films of the year. The story is bad and seems to be taken from a variety of other films such as Escape from New York but in space, the acting is over the top but somewhere in all this mess, Lockout is actually quite a fun movie to watch and has some witty banter thrown into the mix. 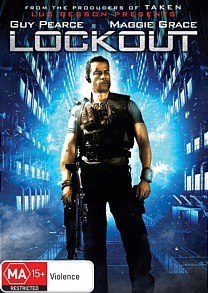 The story of Lockout revolves around the US President's daughter Emile Warnock (Maggie Grace) leading a humanitarian mission to an experimental space prison called MS One. This prison also holds 500 of the Earth's most dangerous criminals who are in cryogenics. 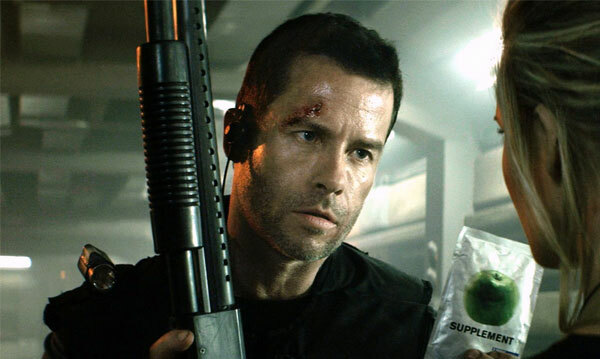 Unfortunately when Emile arrives on the space station, it is overrun with the prisoners that it houses and it is up to Agent Snow (Guy Pearce) to save the presidents daughter. Fortunately for the presidents daughter, Agent Snow has been wrongfully accused and when the prisoners hold Emile hostage, insert every sci-fi cliché in getting her back, Snow graciously agrees to rescue her with a promise of freedom. However when Snow finally finds Emile, she is far from the prissy daughter that he was expecting and he realises that she can handle her own. The violence in the film almost borders of comical and there's even a futuristic motorbike chase in the corridors of this giant space prison. Pearce is the highlight the film, especially with his tough guy dialogue and Grace seems to be along for the ride... and her good looks. 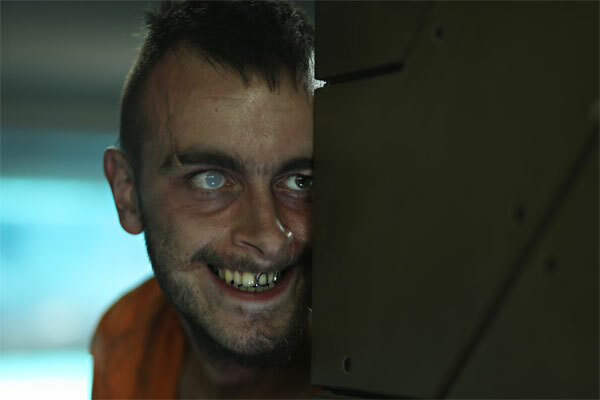 Although much of its inspiration comes from John Carpenter's Escape from New York, the co-writer of Lockout is actually the legendary Luc Besson who actually lends some credibility to the story where you actually see his influence in the story with some parallels of the Fifth Element. The dialogue is incredibly cheesy at times and the special effects are a little dated which only enhances its charm. Video and Audio quality is decent for a film of this budget and unfortunately special features are almost non-exist. Nonetheless, Lockout is a movie that most sci-fi junkies will enjoy but ultimately forget as there can only be one Snake Plissken!